Well, it seems that the RPG and the Puzzle game worlds are just destined to fuse and become a land of their own. 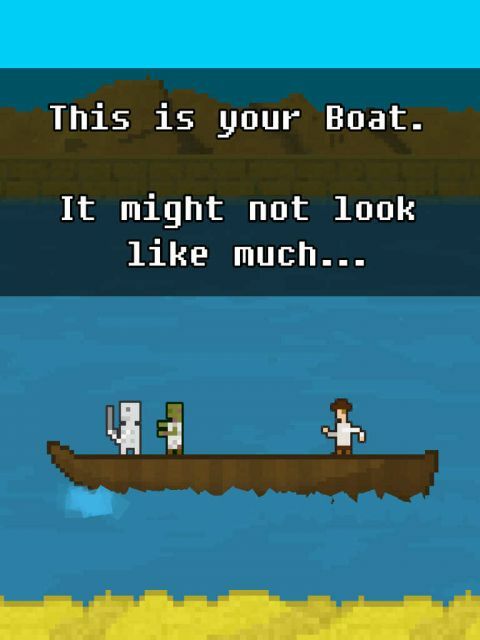 Fans of 10000000, get ready for one of the best sequels you've ever played, because EightyEight Games has a wonderful surprise for you, but instead of fortifying a castle, this time around You Must Build a Boat. 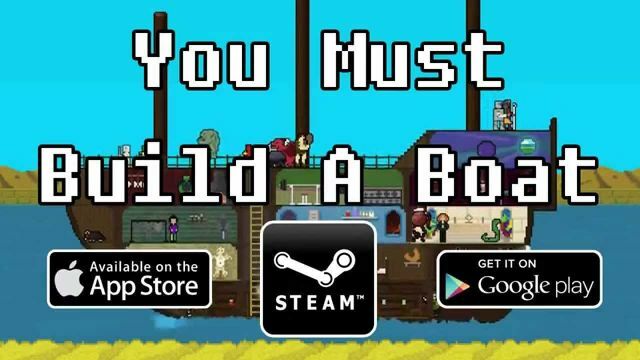 The game is out for Android, Apple and Pc (Steam) and will cost you a paltry $2.99. The price is all-inclusive, so don't sweat it. Boats are typically way more pricey. Even if you do make them yourself. The gameplay seems like a typical "Candy Crush-esque match three tiles" in the beginning and uninitiated players will spend the first several levels doing just that and feeling pretty happy about it. But there is a catch: what you match, matters. There are two things happening in every level- your character is running while you, the player, are playing a puzzle game. The puzzle part is played like a typical slide puzzle with tile movement limited to straight lines. While your character runs, he will encounter a series of traps, items and monsters. 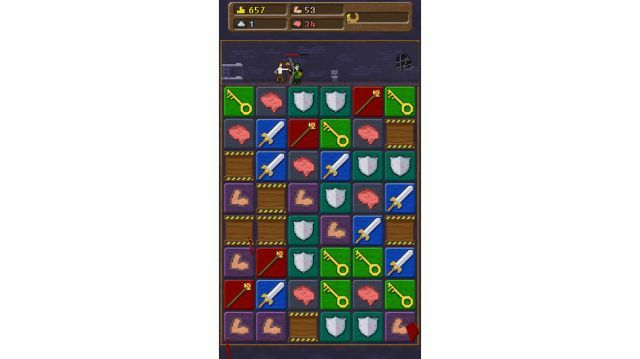 The player must make a series of matches in the sliding puzzle to keep the character safe. Every tile has a picture on it and each set of pictures has a effect on the character as he runs. Matching three swords, for example, is an attack. An attack on an empty hallway is useless, but not having an attack match available while your character is in the middle of a fight is bad news. As the story progresses, he will have the opportunity to recruit monsters to join his crusade and live on his boat. 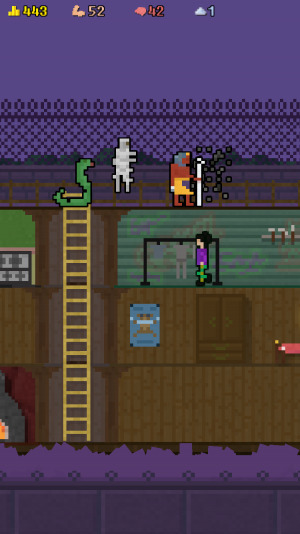 These reformed bad guys will become powerful allies in the fight to build a bigger and better boat. They also just might unlock some special monster pets... but its a secret. The game is illustrated in a pixelated graphic art form identical to the previous installment and features a groovy old school arcade-style soundtrack. Listening to the background music is actually worth the price of the game. It reminded me of an old Nintendo racing game without, you know, actually having to play one. Overall, the game is entertaining, totally beat-able and really fun. I enjoyed it a ton and I am still not totally sure how I feel about these RP(uzzle)Gs. But I did think up a pretty sweet name for them. I gave the game 4.5 out of 5 stars. Some of the mechanics that were supposed to be easy to understand... weren't (i.e. replaying levels.) There was kind of an unnecessarily troubling learning curve. I also would have liked the tutorial to stop triggering on replays. Nothing that would stop me from recommending it, though. So, go on. Go play it! It's amazing. RGB Express is a unique and beautiful puzzle ..